Every issue, landscape designer Darbi Davis digs deep to bring you stories for your outdoor space. 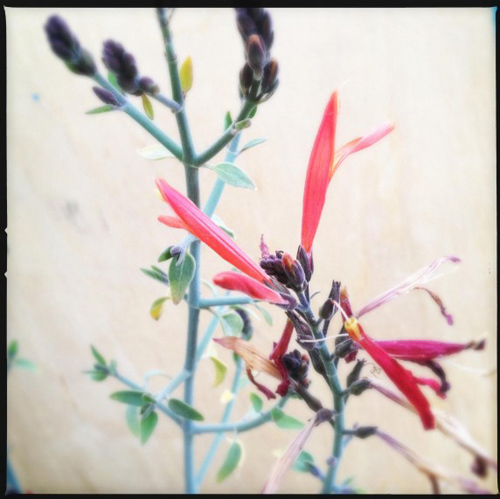 This month: spreading the desert love through plant swaps. Desert gardening may seem tough at times, but one of the easy things about it is that, once native plants are grown, they’re easy to share. Propagation can be a cinch, and once you’ve done that you can spread the love in your own yard – or pass them on to others. Many of our succulents – native and non-native – such as, cacti, aloe, and other juicy leafed gems are easily propagated through cuttings. Other plants such as some agaves produce ‘pups’ – little baby plants that pop up around the parent plant or on the flower stalk. And finally, the most common method of growing plants is from seed. Cuttings are literally cutting a leaf or stem of the plant, placing it in soil and waiting for roots to sprout. Cuttings from some plants such as cacti need to be left to ‘heal’ or callus prior to rooting in soil. This means they form a harder callus-like surface first. 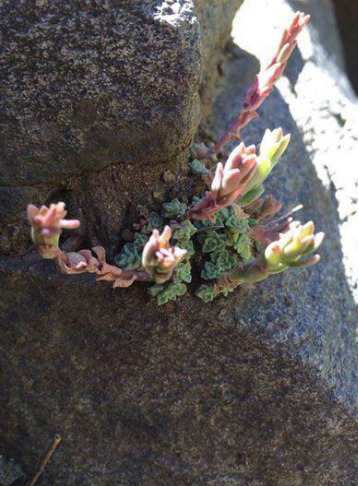 Crassulas, Sempervivums, and Sedums are some examples of succulents that will root from leaves, and often a spectacular shade of hot pink tentacle-like roots can be seen before you even plant them in soil. Octopus agave (Agave vilmoriniana) is a good example of a desert plant that pups from a flower stalk, while Squid agave (Agave bracteosa) pups from roots. Seeds are probably the most common method of plant propagation and can be found in a seedpod that develops after flowering. Some are easier to germinate than others, so a bit of knowledge is sometimes required. Many vegetables, wildflowers, or other plants such as salvia, penstemon, and desert mallow make seed collecting (and propagation) easy. Once you have mastered the art of propagation, you’ll probably feel the sudden desire for more plants, or realize your over-abundance and want to share. 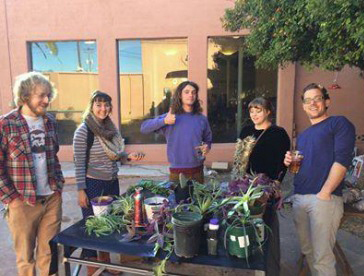 The logical next step is the Tucson Plant Swap. Bring your plants in a container labeled with the name of the plant and any special growing conditions. Remember last month’s column on invasive plants? If you have a lot of one plant that seems to be growing too well, make sure it is not invasive or prone to jumping the fence! You don’t want to share that kind of love. But do share your knowledge if you notice any of our local pests at the exchange. Ponder your space before you embark on the plant swap. You want to provide a happy place for those tiny treasures to thrive, so make sure you have enough room for your new adoptees. If you like winter bloomers, this is one to have in your yard. 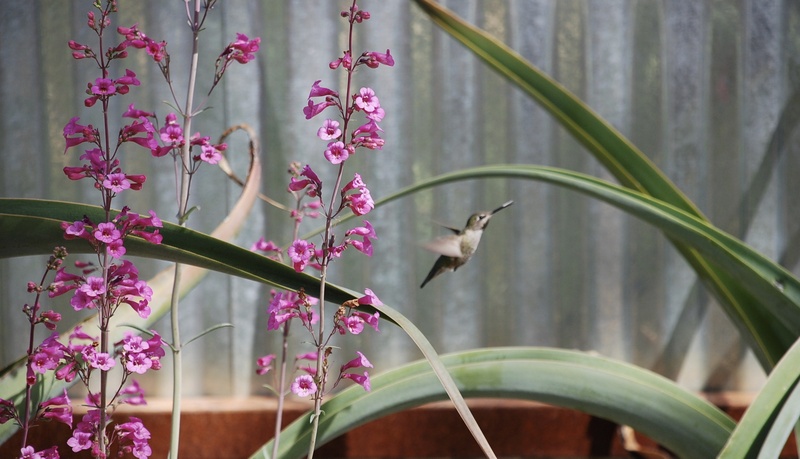 Native to the Sonoran Desert, this drought-tolerant gem has brilliant orange (or yellow) tubular flowers and succulent-like stems, and the hummingbirds find them irresistible.